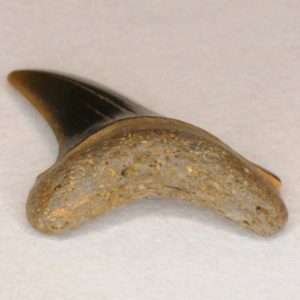 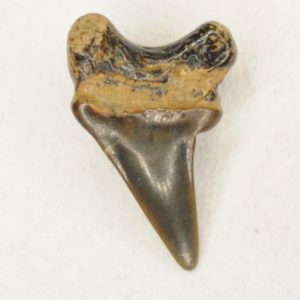 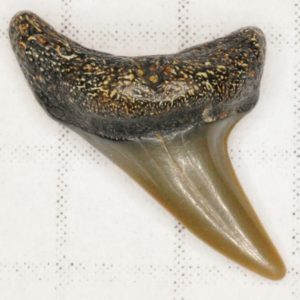 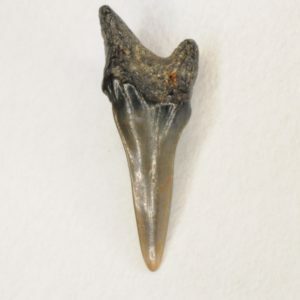 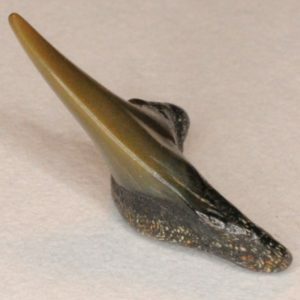 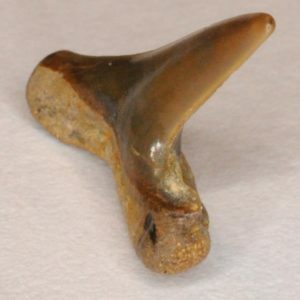 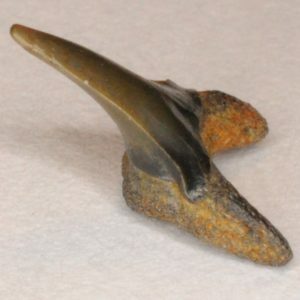 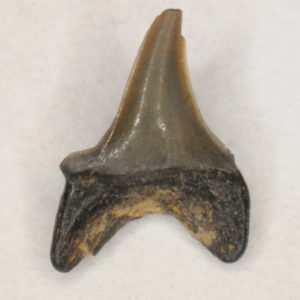 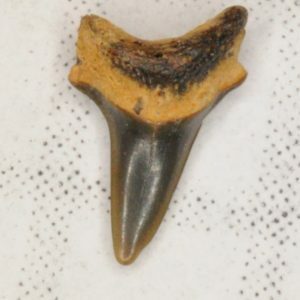 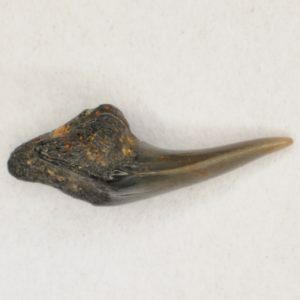 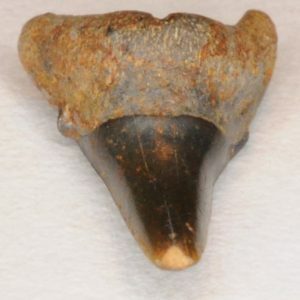 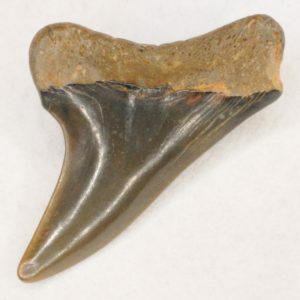 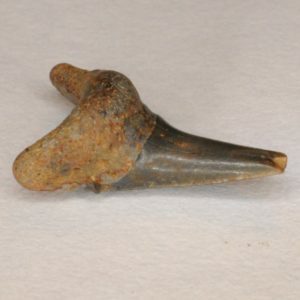 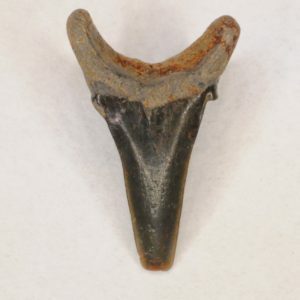 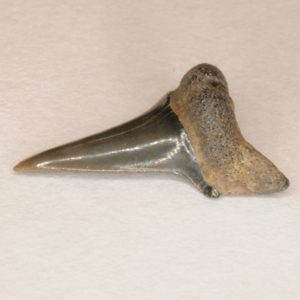 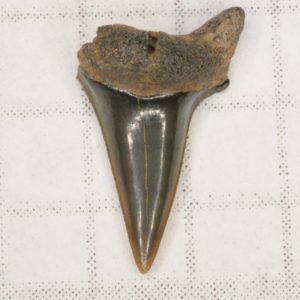 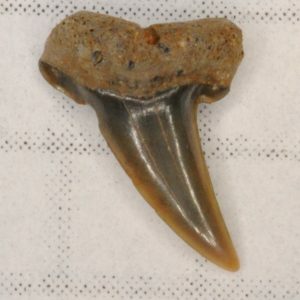 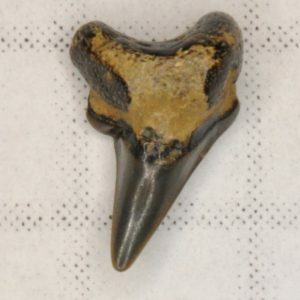 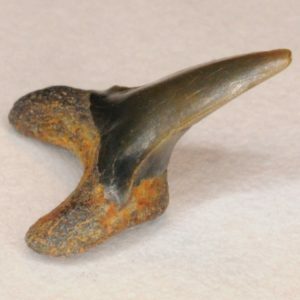 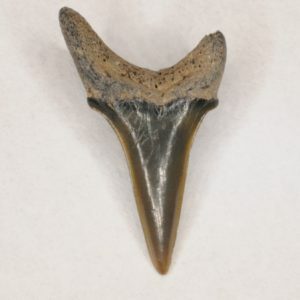 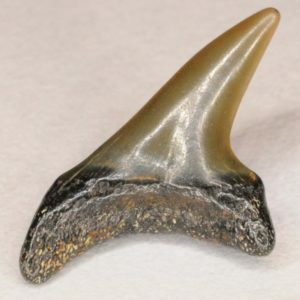 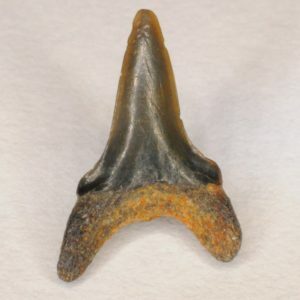 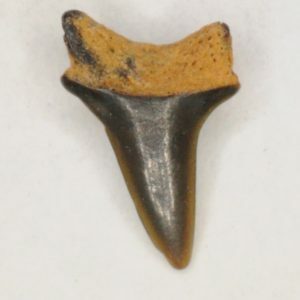 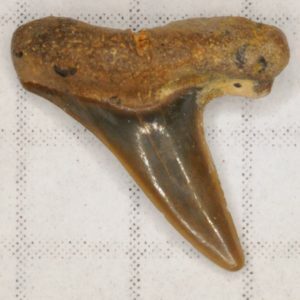 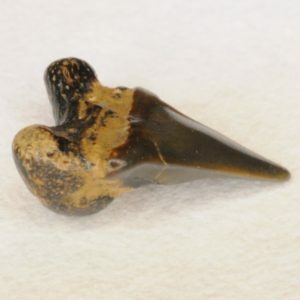 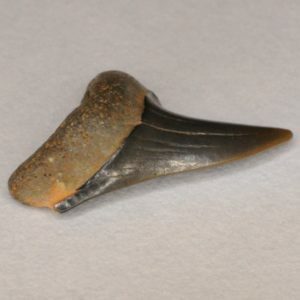 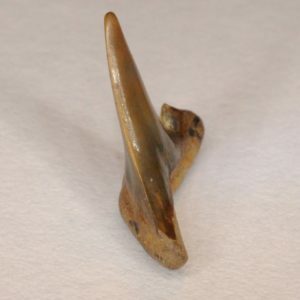 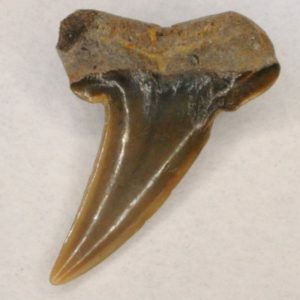 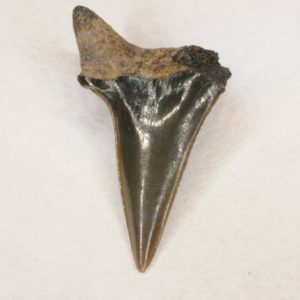 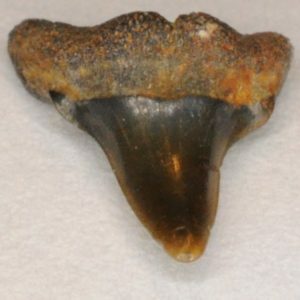 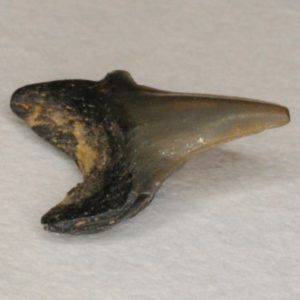 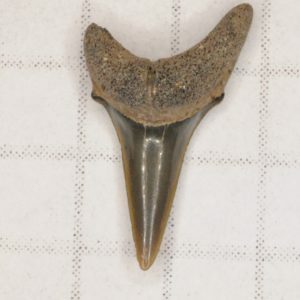 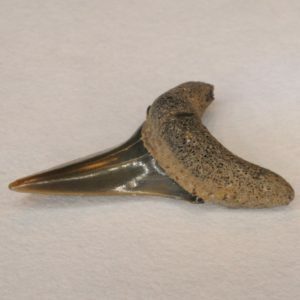 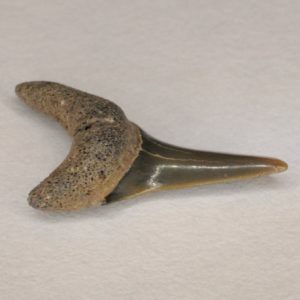 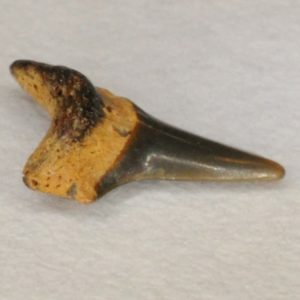 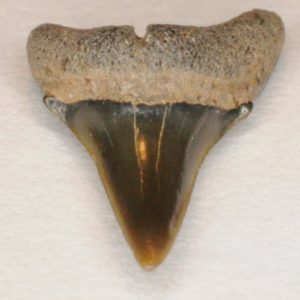 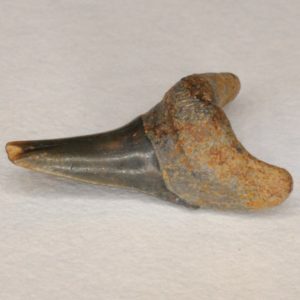 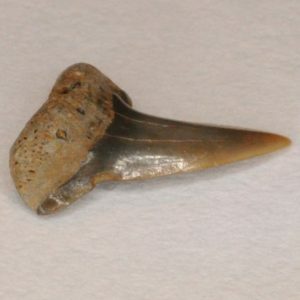 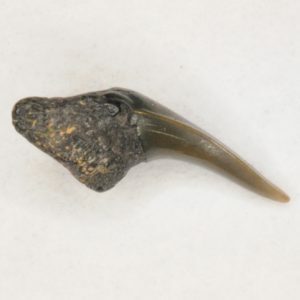 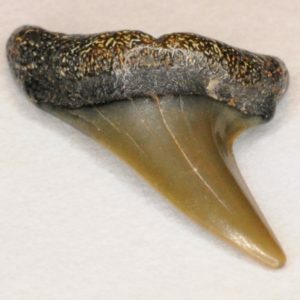 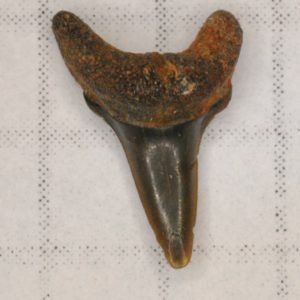 Thresher shark teeth are somewhat ignored by collectors, probably because their features are worn down easily by stream action, which causes them to be mistaken for a worn goblin, porbeagle, or sand tiger. 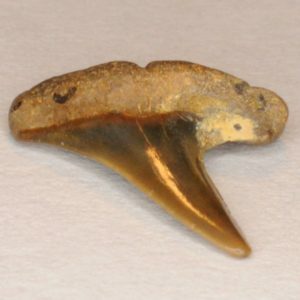 Nice threshers are hard to come by. 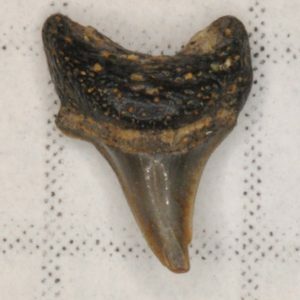 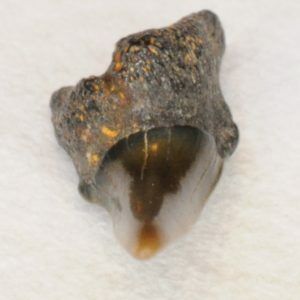 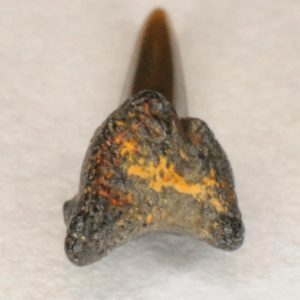 The crown is similar to Archaeolamna kopingensis teeth. 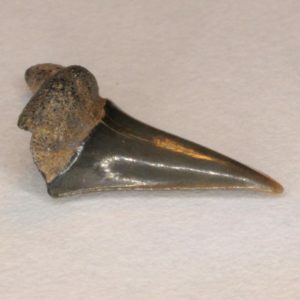 The thresher crown is less robust and is thinner on the carinae. 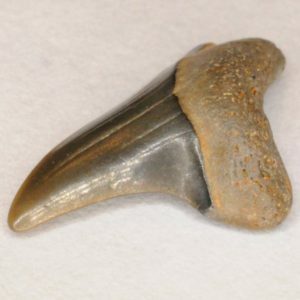 Thresher teeth have small vestigial cusplets, which look like small bumps on the shoulders of the tooth. 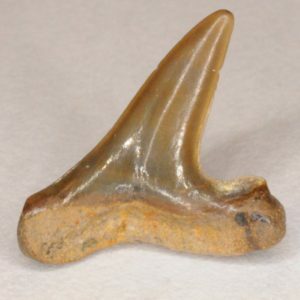 They are almost like extensions of the crown. 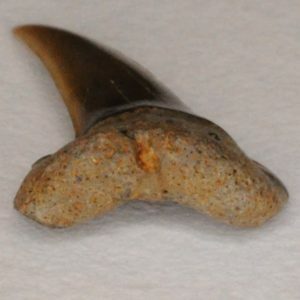 The thresher roots are slightly porous and have a large nutrient groove. 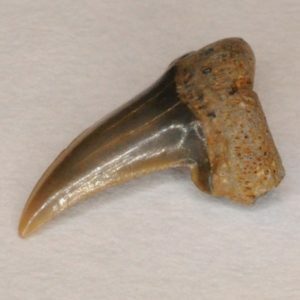 The anterior tooth crowns are straight and the laterals are angled distally. 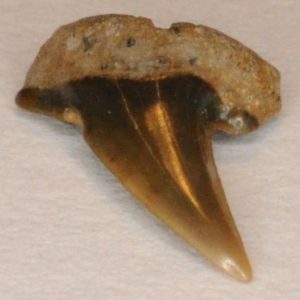 The upper teeth are generally flatter and less robust than the lowers. 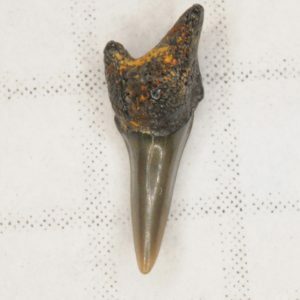 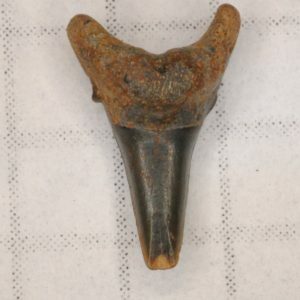 This is a rather strange tooth. 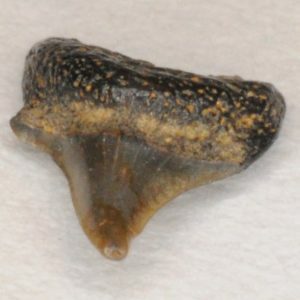 It is possibly a symphyseal P. angustidens. 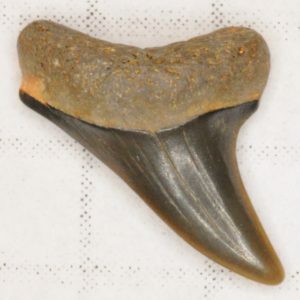 There is also the chance that it is a positional variation of a Protolamna borodini. 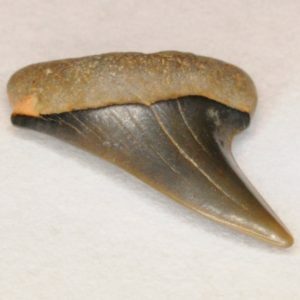 In my opinion it matches better with this species. 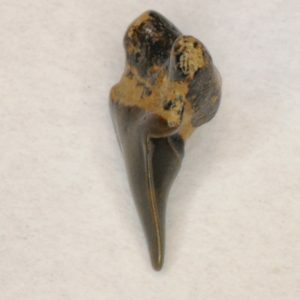 This tooth is most likely an upper anterior. 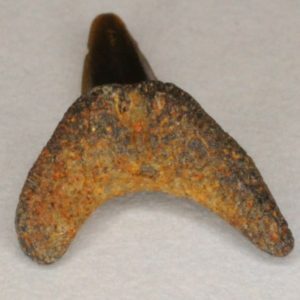 Here is another anterior; it is probably an upper. 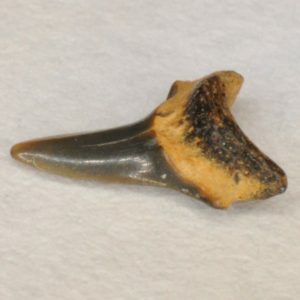 This tooth is most likely a lower anterior. 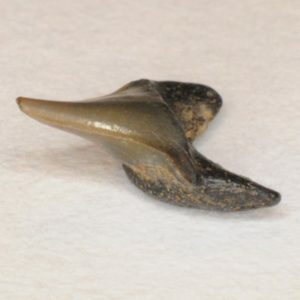 This tooth is either an upper first anterior or a lower anterior. 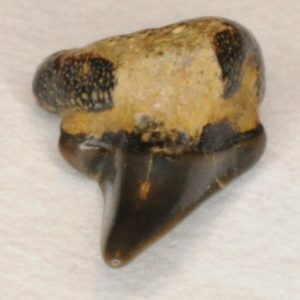 Lateral teeth are much more slanted than the anteriors. 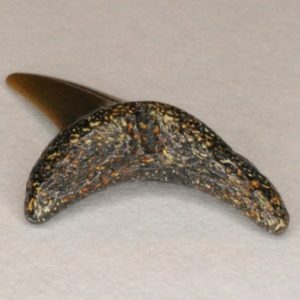 This one is most likely an upper. 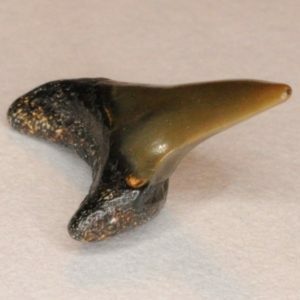 Here is another possible upper lateral with a different shape. 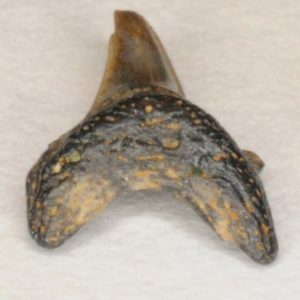 Another upper lateral similar to the one above. 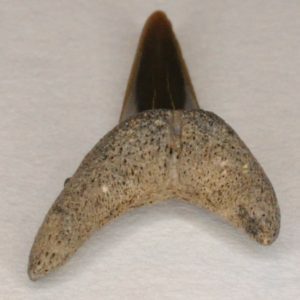 Lower laterals are more erect than the upper laterals. 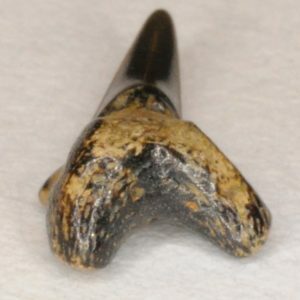 Posteriors are slanted like the upper laterals, but have a narrower root. 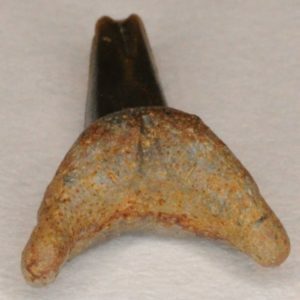 This one is probably an upper. 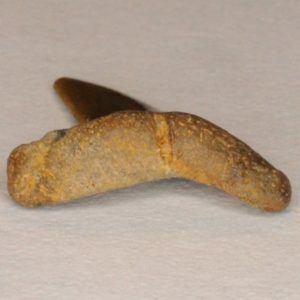 This one has a somewhat unusual shape.